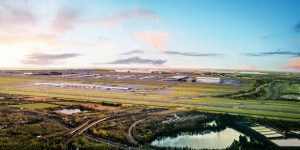 The next phase of planning for Heathrow expansion is set to commence following the end of the first round of the Airport’s community consultation. Heathrow says it will now use the feedback collected to develop a preferred masterplan for expansion. It will then consult on the preferred masterplan in 2019 if the Airports National Policy Statement is approved by Parliament in the summer 2018.